Aston Martin has finally lifted the covers off their latest hypercar. 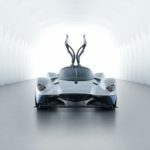 The Aston Martin Valkyrie has been unveiled in its pre-production form, showcasing its aerodynamic exterior and interior. This comes as a prospective buyer recently leaked images of the Valkyrie after it was showcased at a private event in Monaco. The car featured here is the same car that was put on display ahead of the Monaco GP. We’re all too familiar with how extreme the Valkyrie looks. The aim was to create a hypercar that could lap the Silverstone F1 circuit as fast as an F1 car. The task was assigned to Adrian Newey from Red Bull Racing. 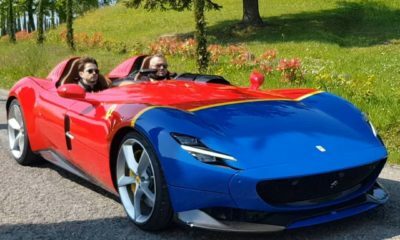 Newey has come up with what is arguable the most extreme road car design we’ve ever seen. The Formula 1 influence is also evident in the interior. All the controls are placed on the rectangular carbon steering which has a large display in the center. The driver sits low in a raised-feet driving position. The cockpit itself is tiny and is covered in a teardrop-shaped canopy, while the carbon gull-wing doors remind us of Le Mans prototypes. The Valkyrie doesn’t have a rear window and uses a rear-mounted camera instead. Moreover, Aston Martin has also replaced conventional mirrors with cameras which help reduce drag. The Valkyrie is based around a carbon fiber monocoque and much of the surfaces you see on the outside are still being optimized. What you see here is 95 percent of the final product. Under the carbon fiber bodywork sits a 6.5-liter naturally aspirated V12 engine developed by Cosworth. 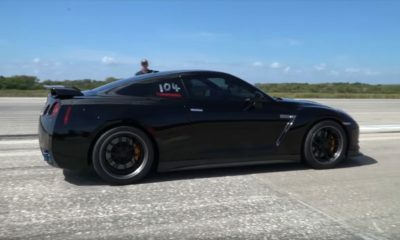 It’s expected to produce upwards of 900 hp in its final tune. An F1-style KERS system adds to final output of the combustion engine for an overall peak output of 1130 hp. The engine is mated to a 7-speed gearbox by Ricardo. With the car weighing around 100 kg, the designers confident of achieving a power-to-weight ratio of 1:1. With so much development going into the Valkyrie, Aston Martin doesn’t expect to turn a profit by selling the planned 150 units. But, what it certainly does is place Aston Martin at the top of the hypercar food chain. 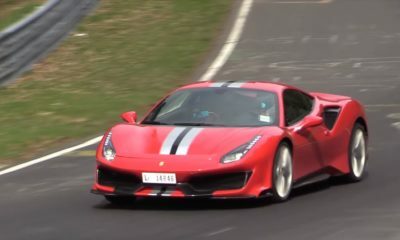 That’s until someone builds an even more extreme supercar.